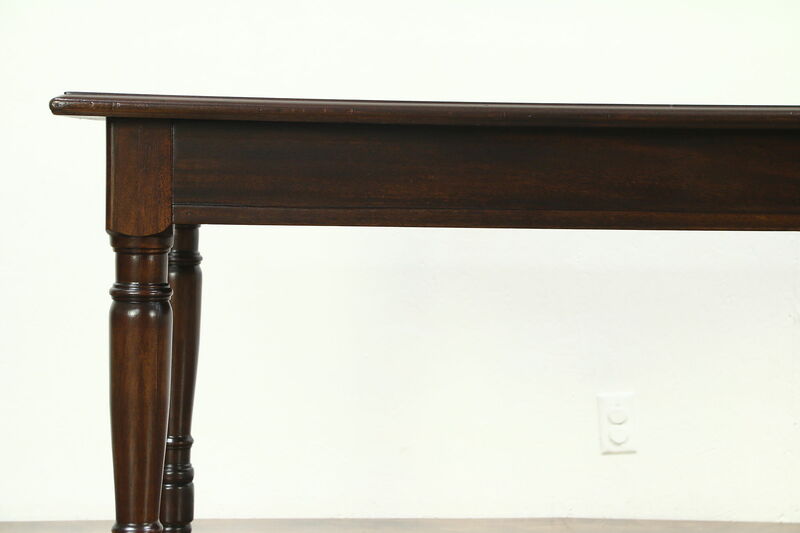 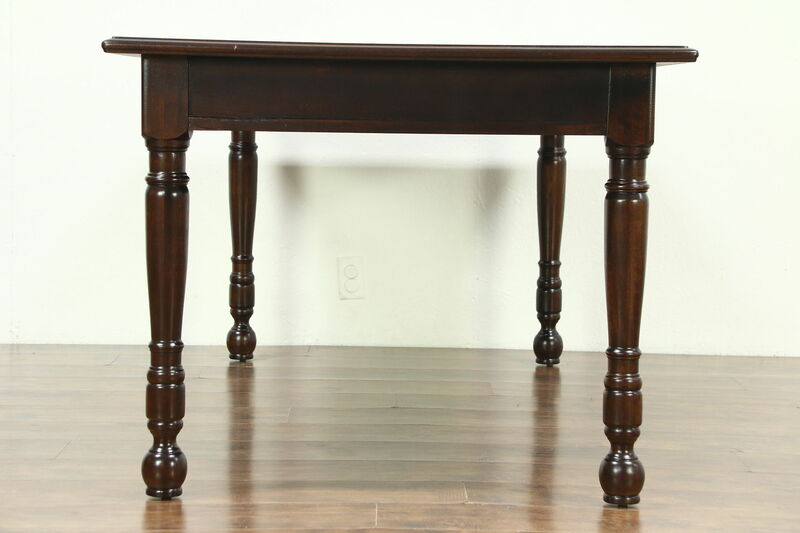 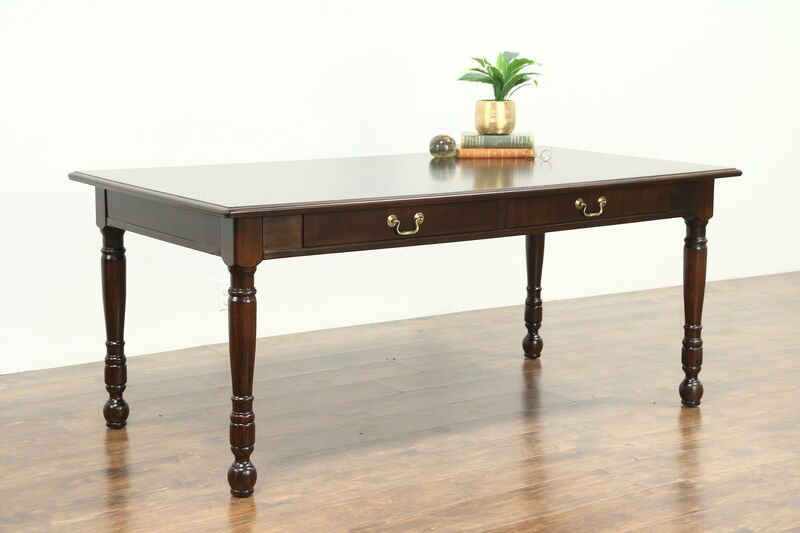 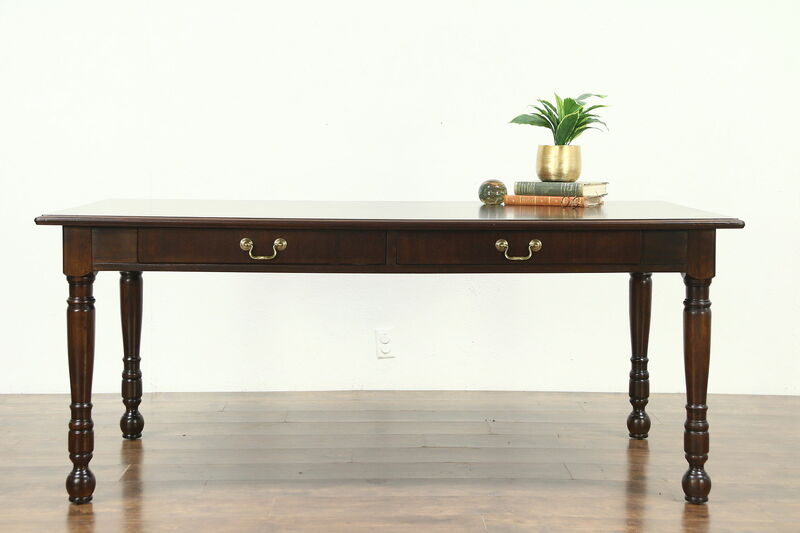 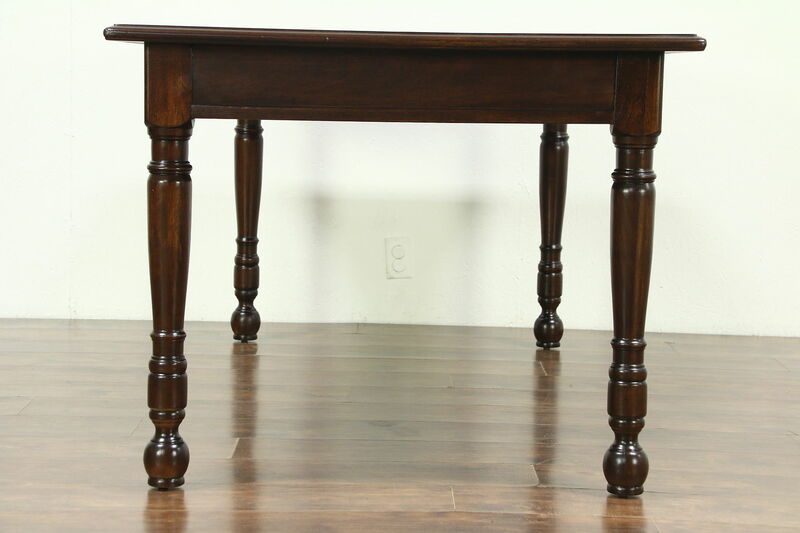 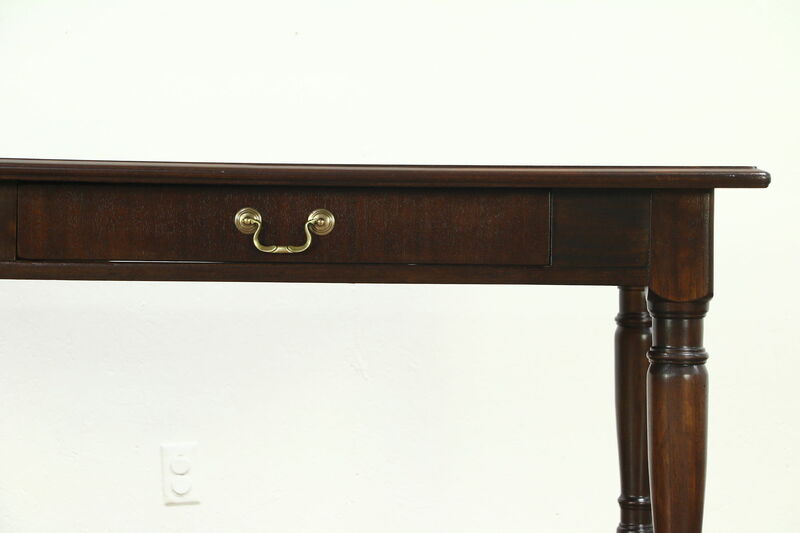 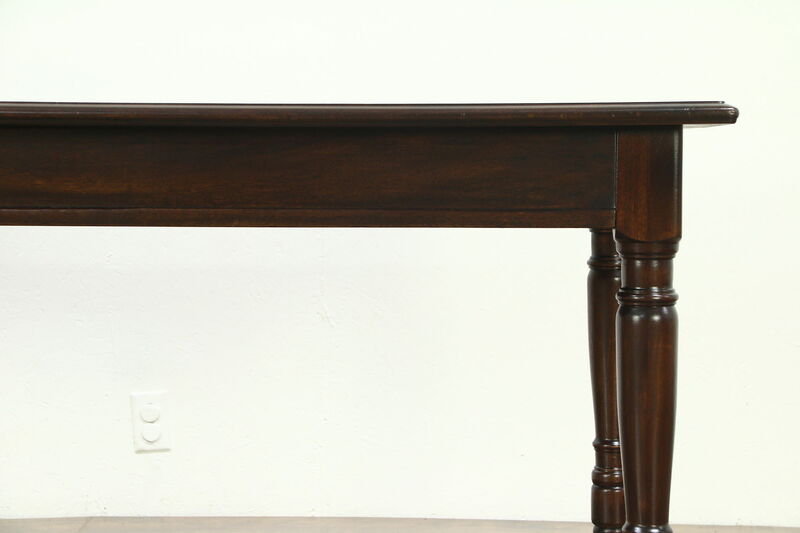 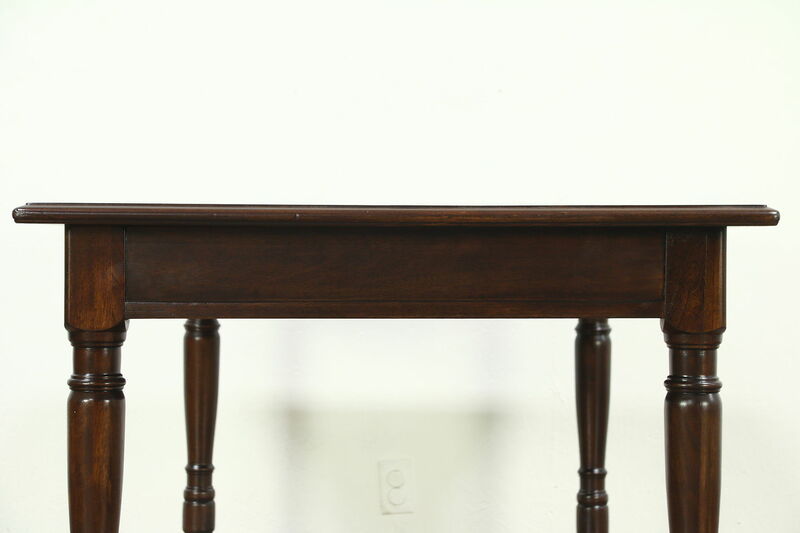 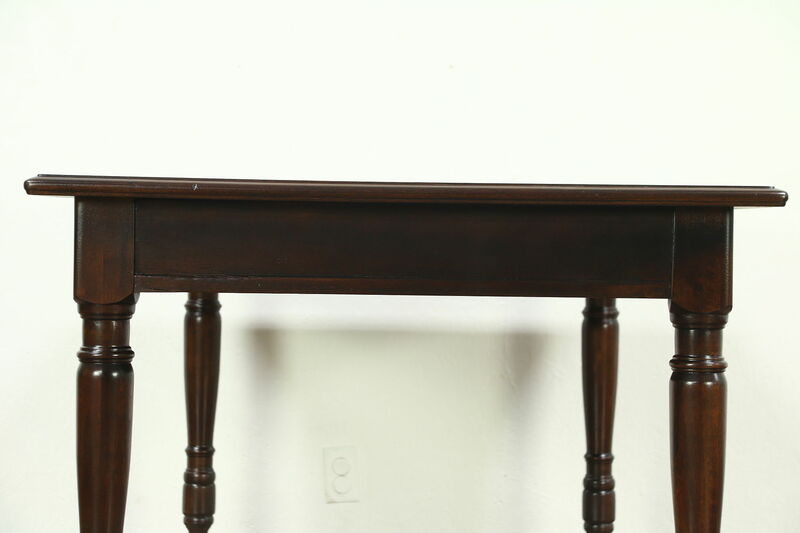 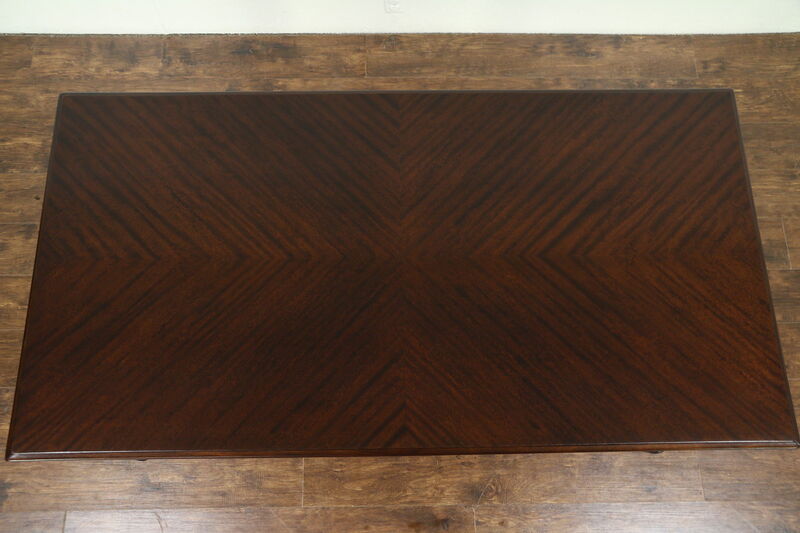 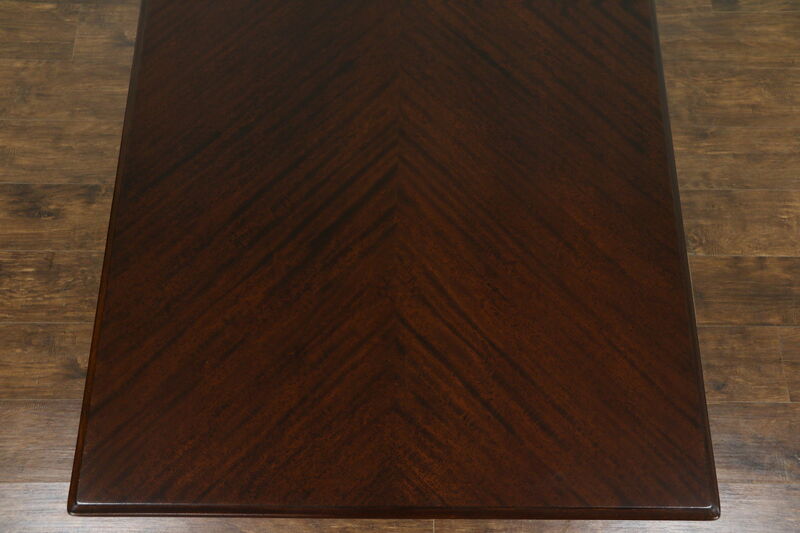 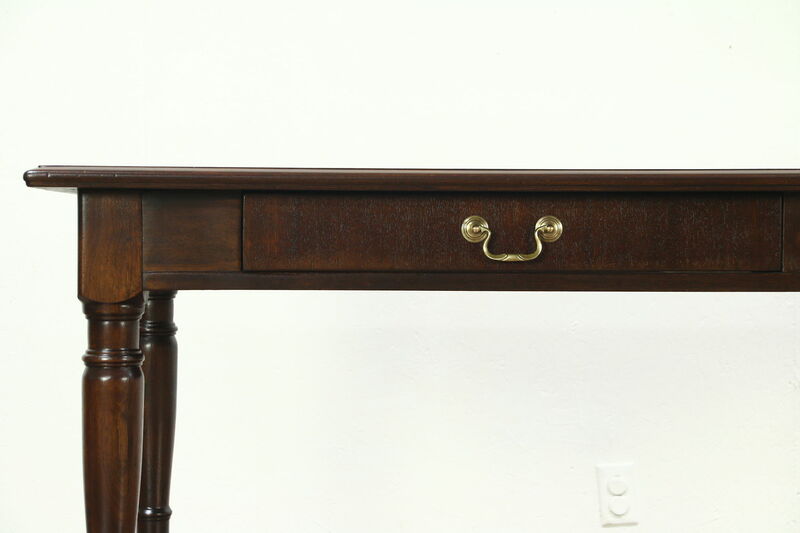 Crafted of mahogany about 1915 for a Milwaukee bank, this library table or writing desk has a diamond matched top. 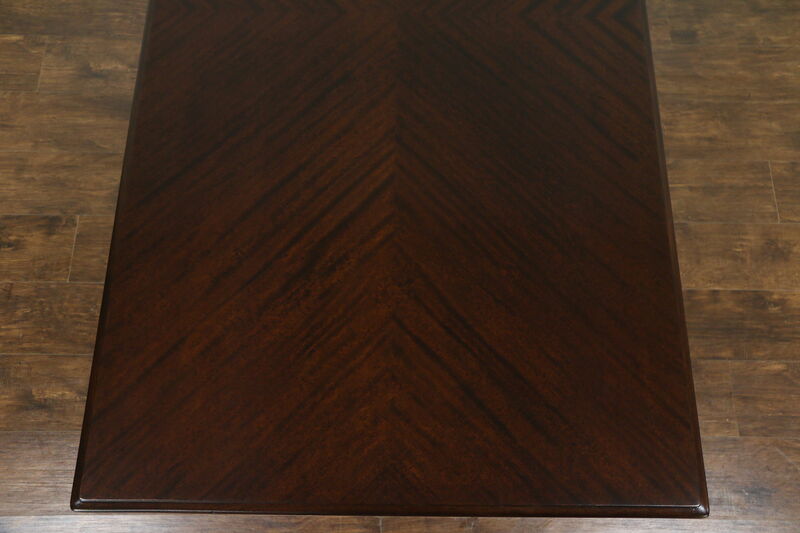 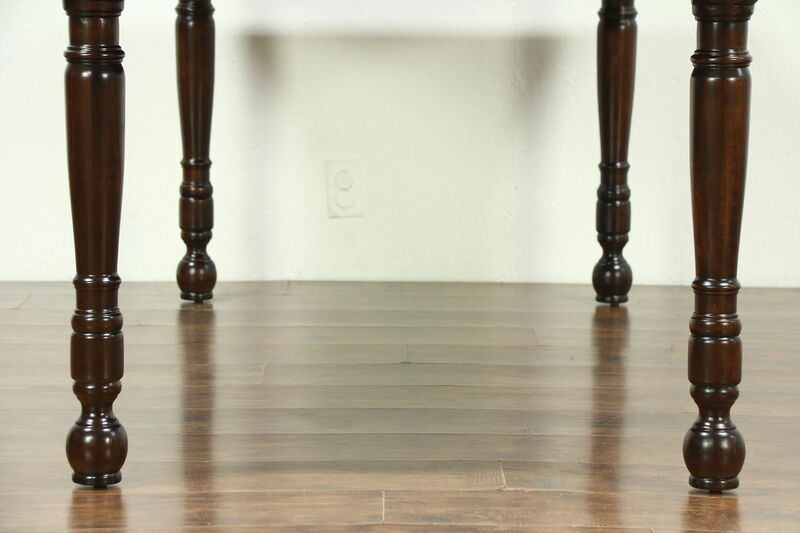 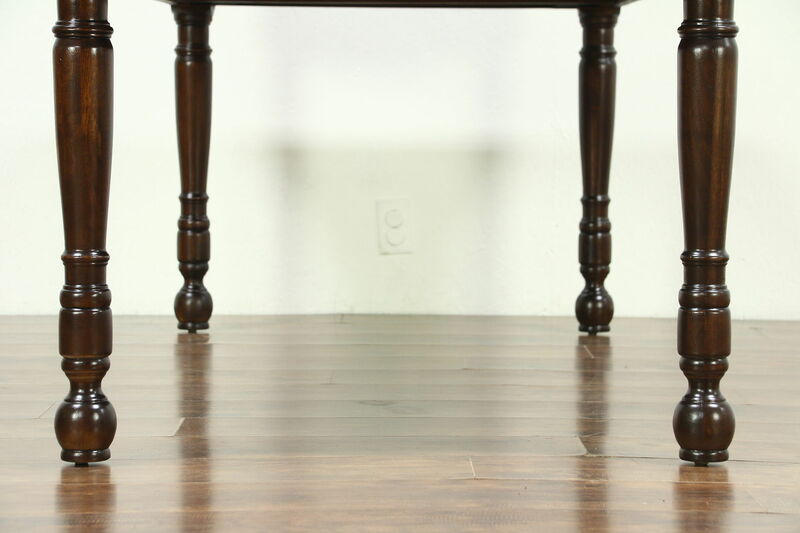 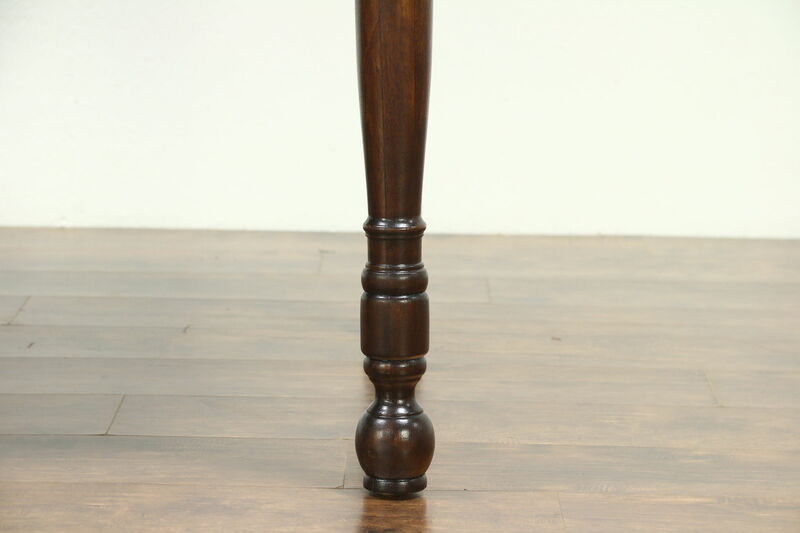 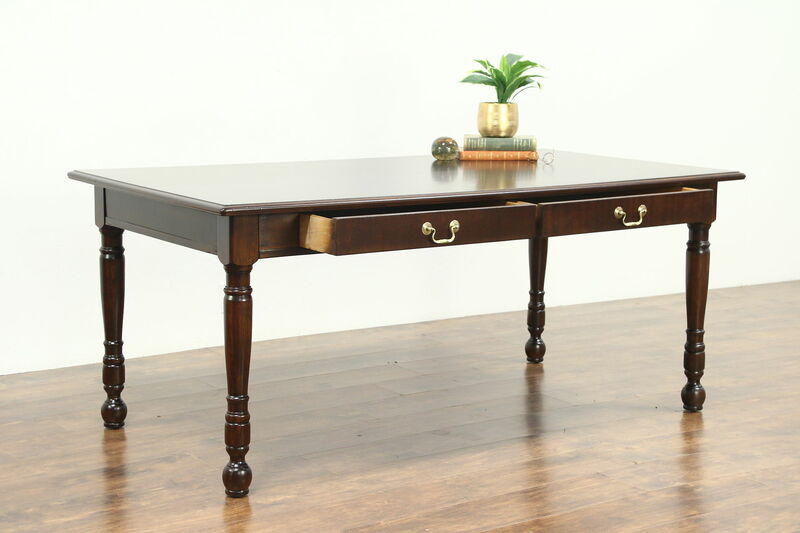 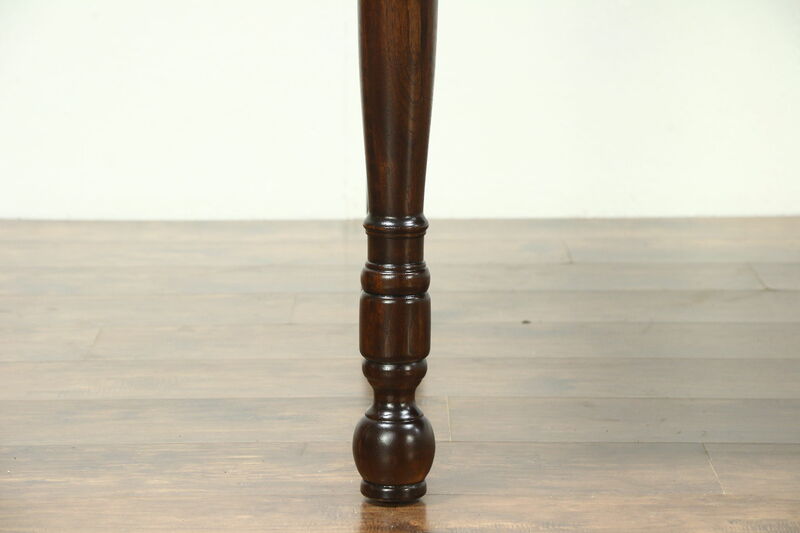 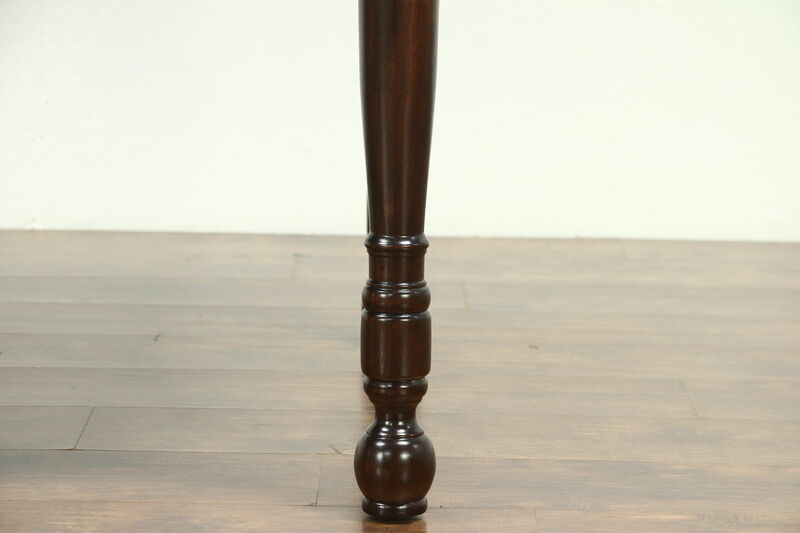 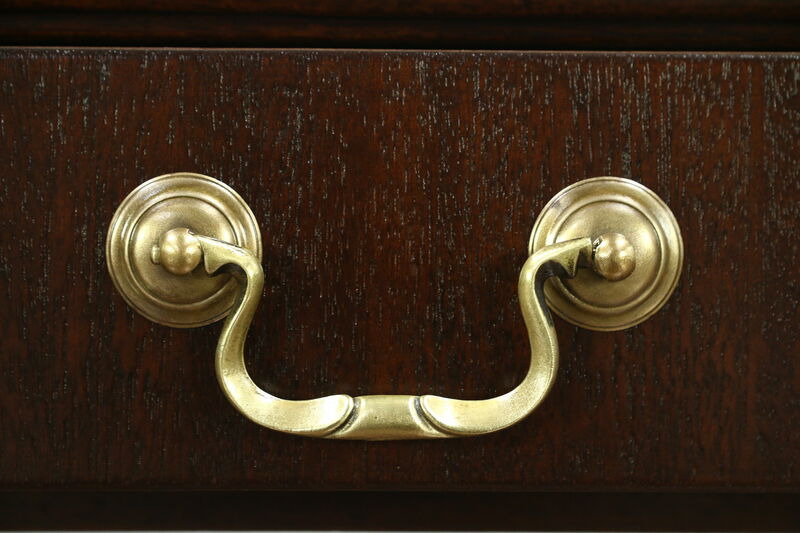 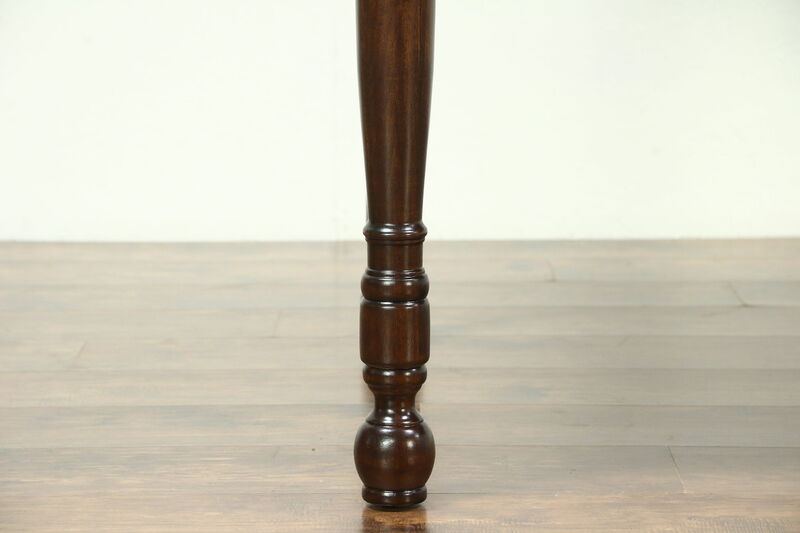 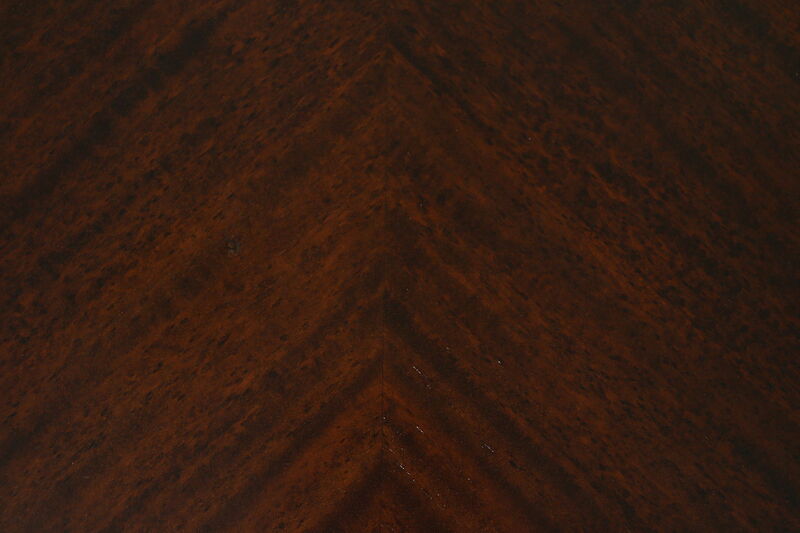 The restored deep finish is in excellent condition on this American made library or office furniture. 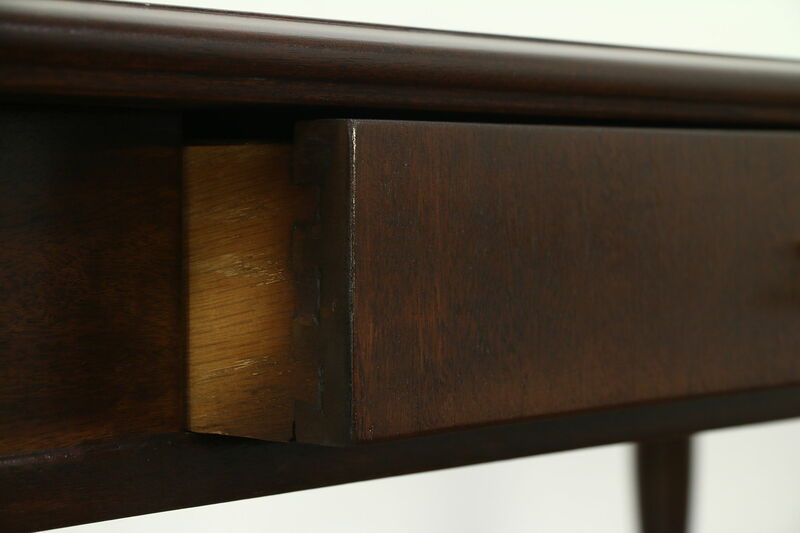 Drawers have solid oak dovetailed sides. 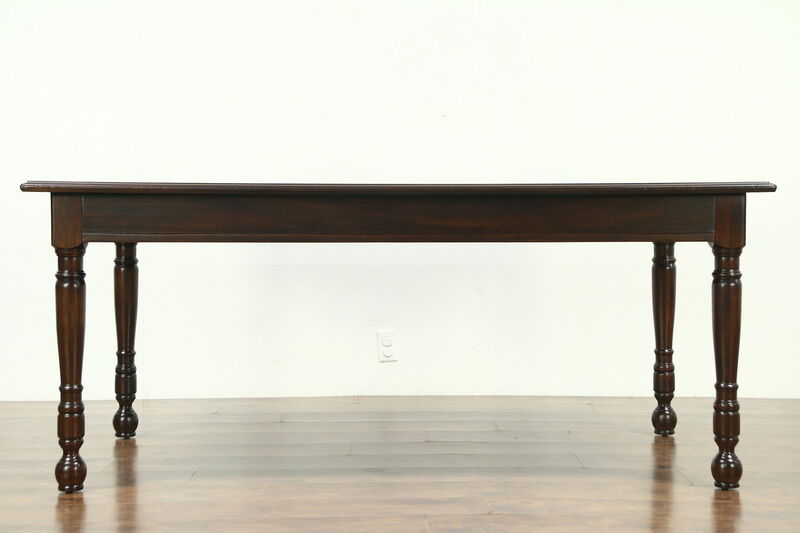 Measurements are 6' long, 38" deep, 30" tall and legroom is 25" underneath.